On Wednesday, February 19th, I received a PM from TSR member Fox with the question of if he could send a sample of his Super Smooth Shaving Soap line. I then accepted his offer and selected the Bay Rum variant. And most likely I was one of the first Dutch people to tryout this new British artisan shaving soap, and it feels quite frankly as an honor and I am very happy with it. 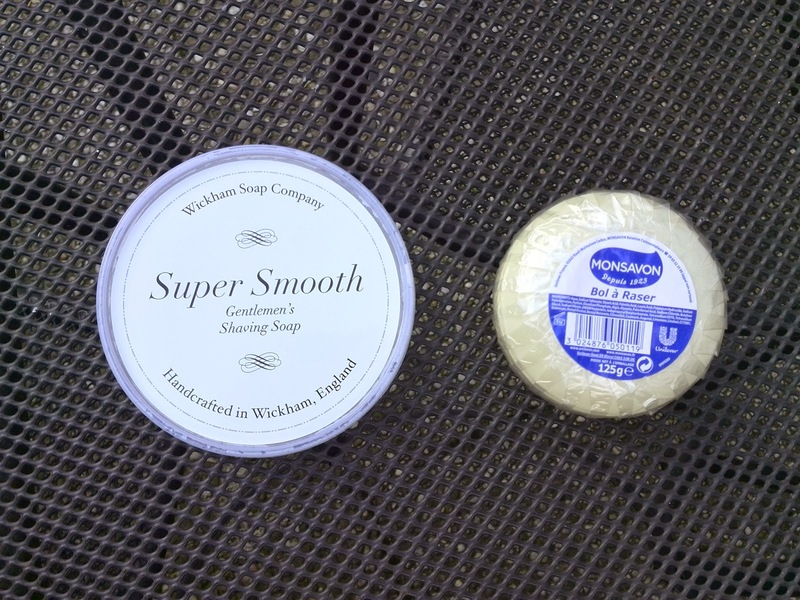 The Wickham Soap Company was set up after owner Darron discovered that amongst members of shaving forums there is much interest for new shaving soaps. And then he decided to perfect the shaving soap that he initially made for his own use and bring to the market. If you are interested in even more information about the start of Wickham Soap Company then it is perhaps interesting to read this topic on TSR. Darron has made ​​an interesting choice for the packaging, and opted for a very wide narrow tub. The reason for this choice is so that there is enough room to use even the biggest shaving brushes. For comparison I took a Monsavon shaving soap tub and put it besides the Super Smooth. And the tub of the Super Smooth is 4.5cm wider and 3cm narrower than the Monsavon shaving soap tub. Due to lack of funds Darron has selected a cheaper plastic packaging. But it is his ambition to eventually start using a better more luxurious packaging, although I personally find nothing wrong with this plastic packaging. I have whipped up this shaving soap using the method for soft shaving soaps, and have thereby generously used product. 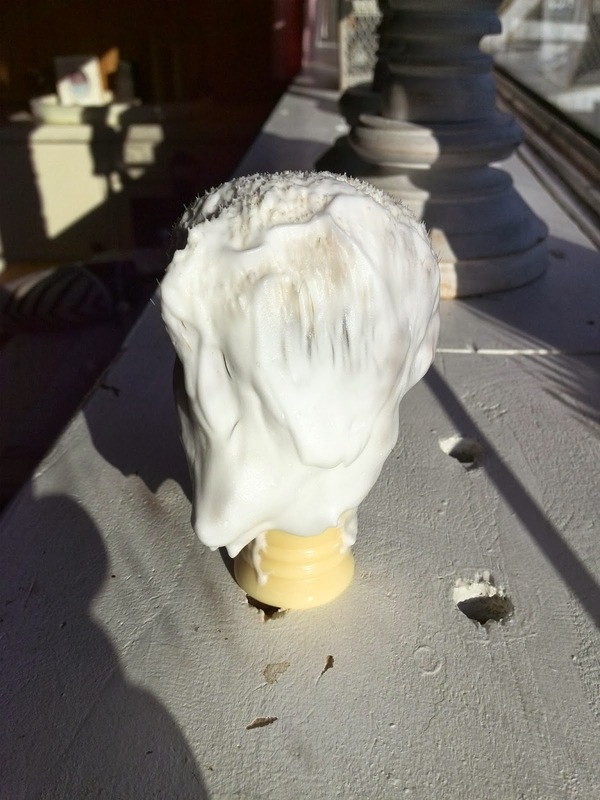 And eventually that resulted in a nice thick lather and a shaving brush full with lather, as in the picture shown below. Also, the quality of the lather is very good and protects the skin also very good and it doesn't dry on the skin. Furthermore, the lather also ensures that the safety razor glides smoothly over the skin. A scent is always difficult to describe and that is also the case here, but it is a lovely fresh scent which I clearly smell a hint of lime in. I find the scent also a little bit resembling the Crabtree & Evelyn West Indian Lime. The Wickham Soap Company Shaving Soap is sold by Gallant and Klein for € 18,30 and is available in the scents Bay Rum, Garden Mint, Club Cola, English Lavender, Southsea Spray. 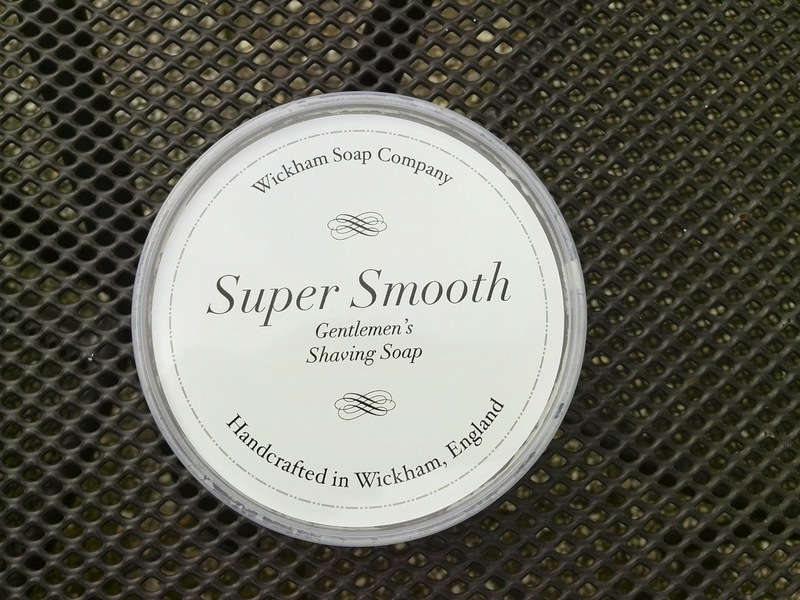 The shaving soap can also be bought straight from the own website from Wickham Soap Company, but only samples are available on the moment of writing. The performance and quality of this new shaving soaps are very good, and it also smells very delicious. However, this shaving soap is very pricey for a shaving soap, but there is a good explanation for that. And that explanation is that it is a handmade shaving soap and not mass produced and it offers more exclusive scents. So basically this shaving soap offers a low value for money performance wise although it belongs to the top, but in comparison with other luxurious British shaving brands like Geo F Trumpers and DR Harris its not so expensive at all.